Air Installations Heating & Coolling, Inc.
WeatherWise Heating & Cooling, Inc.
Bass Heating & Air Conditioning Co.
Genoa City Heating & Cooling, Inc. Comment: The heat was off this morning and when I looked at the thermostat it only read 65 and I normally keep the temp around 70-72 degrees. When I tried to adjust the temp to see if it would turn on, it finally did turn on but shut off right away with it not producing any heat. Comment: I would like to get an estimate for adjusting my heating and cooling ducts. I am having an acoustic ceiling installed, and I need all ducts and vents to line up. McHenry Heating & Furnace Contractors are rated 4.79 out of 5 based on 896 reviews of 32 pros. 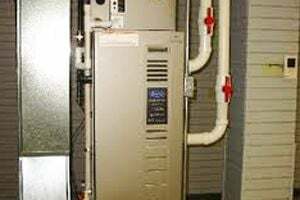 Not Looking for Heating & Furnace Systems Contractors in McHenry, IL?